A practical challenge to be solved: how to optimize exposures using radiobiology as a guide? One of the responsibilities of a Medical Physics Expert (MPE) is to provide advice on the safety of planned and unplanned exposures to patients, staff, and the public from radiological procedures. The quality of advice and counseling and the decision-making in unplanned exposure situations requires the knowledge of the radiobiological processes which lead to the different potential health impairment of the affected persons. This course will provide a thorough understanding of the biological response of humans to radiation exposure, as well as the radiobiological basis for estimating subsequent risks. Food & drinks (coffee breaks) In the nearby University Cafeteria, a coffee and a brioche can be bought for € 2.00 (optional). Lunch In the nearby University Cafeteria, a meal can be bought for a price € 5.00 to € 7.50 (optional). Lodging of participants Cheap accommodation in University Colleges is available on request, by contacting the Module Leader upon application. Indicative cost: € 150€ (from Sunday to Saturday). Transport A bus ride in Pavia costs € 1.30. Trains from/to Milan Central Station cost € 4.00 one way. Buses from Milan Airport to Milan Central Station cost € 8.00 one way. 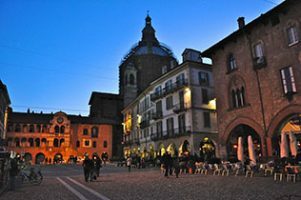 Any of the Milan airport is a convenient choice for traveling to Pavia.